While cell phones have largely displaced landlines for making and receiving calls, there are still many individuals and businesses who prefer to have a dedicated home phone. For these buyers, cordless phones offer a reliable, often expandable, phone system without requiring users to stay within a few feet of a phone jack. We looked at cordless phones made by some of the leading manufacturers to determine which models offered the most useful feature sets, were easiest to use, and provided the most reliable connections when both making and receiving phone calls. Read more about our methodology. Our favorite cordless phone is simple to set up and use and offers reliable, clear calls and useful added features like caller ID. It also has a big, readable screen and large buttons that make it even easier to use. Our budget pick for cordless phones is a straightforward model that offers a surprising number of useful features that sets it apart from competitors in the same price range. It’s also expandable, so you can take advantage of that low price point to add an extra handset. Our favorite multiple handset cordless phone delivers high-quality audio and has extra features like connect-to-cell functionality and an integrated USB charger to make it even more useful. It also has a great push-to-talk feature that lets you quickly talk between handsets. Our favorite cordless phone for large spaces offers exceptional range and clarity, along with useful features like an integrated answering machine and robust call-blocking technology. It also has excellent battery life, so you can really make use of the extended range. While many cordless phones feature answering machines, our top pick has a versatile and reliable voicemail system that really sets it apart. 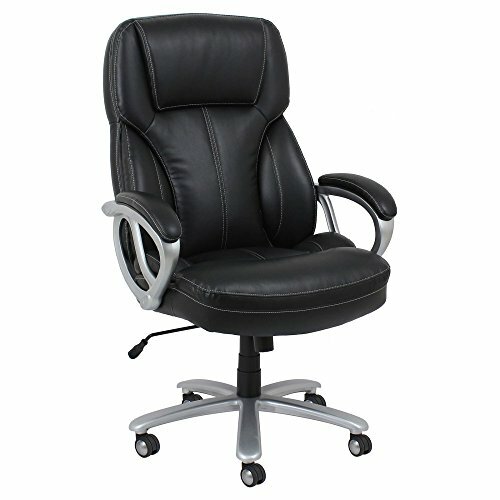 It also boasts high-quality construction and a handful of extra features that make it more dependable and easy to use. If you’re looking for a cordless phone that uses your cell phone’s signal, our top pick is easy to connect and offers tons of useful features. This is an excellent phone if you want to ditch your landline but still have a dedicated cordless phone in your home. The single most important factor when buying a cordless phone is how reliable it is at making and receiving phone calls. Most cordless phones in North America now use DECT 6.0 technology to enhance range and reliability, but there are still some models available with outdated technology that will suffer from interference. Since cordless phones are meant to be carried around while in use, you’ll also want to prioritize battery life. A cordless phone that runs out of battery life in the middle of a long phone call is only going to cause frustration. An ideal cordless phone will also have a long standby life, so you won’t need to put it back on its base after every call. A cordless phone should give you the freedom to move around while you talk, so range is another very important consideration. If you’re planning to use your phone far from its base (outside or on a different floor of your house, for example), it’s important to find a cordless phone that will work reliably, even if it’s far away from its base station. Simplicity is another important consideration when choosing a cordless phone: you’ll want a phone that’s easy to set up and use, with quick access to basic functions and features like speed dial. There is something of a trade-off, however, when balancing ease of use with extra features. There are several extra features that can make a cordless phone more useful, including integrated voicemail, caller ID, and call blocking for unwanted calls. While these aren’t primary selling points, they can definitely improve a phone’s performance and make it easier to use. There is a lot of variety when it comes to cordless phone prices, which is largely based on what types of features each phone offers. A basic, single-handset cordless phone can cost less than $25, but it won’t have added features like integrated voicemail. You may also need to add a second handset, which can add even more to the price. An all-in-one cordless phone with a built-in answering machine generally costs more, ranging from $30 to $50. A Bluetooth-enabled cordless phone that uses your cell phone for service will cost slightly more at around $70 but may save you money over time, since you won’t need to pay for another phone line. At the highest end of the price range, a robust, multiple-handset phone system can easily cost over $100 but can be a great choice a business or home that needs phones for multiple users. 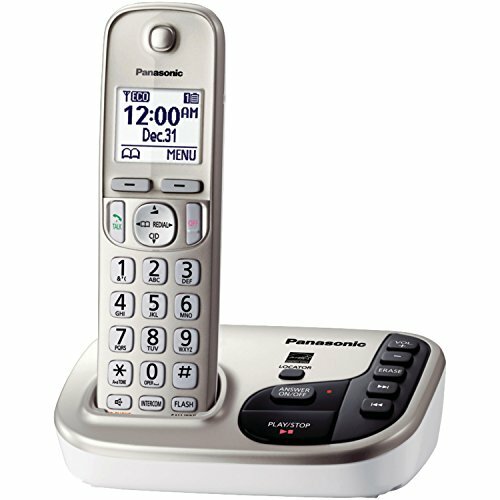 Panasonic’s Big Button Expandable Cordless Phone System is a user-friendly, reliable cordless phone that delivers very clear calls and long battery life. 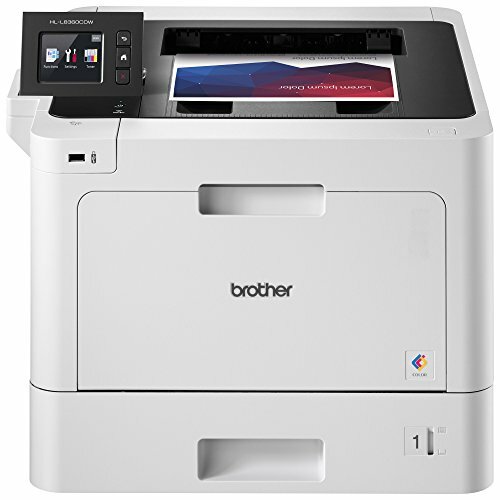 We particularly liked its accessibility features, like oversized buttons and a large, easy-to-read screen, which makes it a great choice for older users or people with limited vision. Setup is a breeze, especially when it comes to adding numbers and using the phone’s speed dial functionality. Crystal clear calls. Calls come through clear and free of static, and it’s very easy to hear the person you’re talking to, even when you’re not close to the base station. The phone uses DECT 6.0 technology to provide a very reliable signal. Talking caller ID. 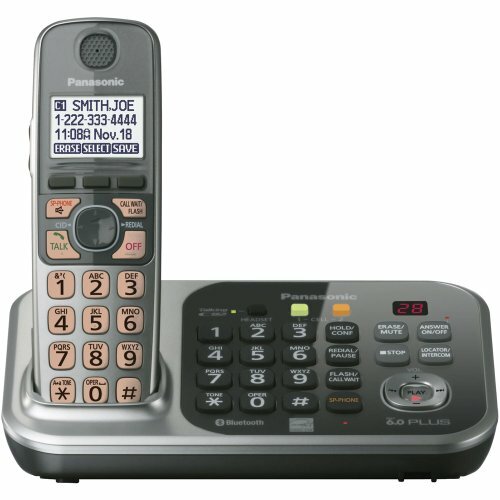 The Panasonic Big Button cordless phone also features talking caller ID, which announces calls when they come in. This is particularly useful if you’re in another room or away from the phone since you can quickly tell if you need to answer. Accessibility features. This phone is designed with accessibility in mind and features oversized buttons that make dialing very easy. Also, the screen is bright and readable, which can really help out users who may have vision problems. 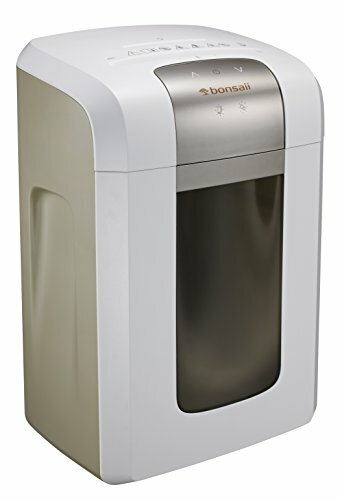 Easy to program and use. While this phone doesn’t have a ton of extra features, it does have speed dial and redial functionality, both of which are very easy to use. Adding numbers to speed dial is especially simple and intuitive. No answering machine. One major limitation of this cordless phone is its lack of an integrated answering machine. If your phone provider offers voicemail, you can access it through the phone, but this does require some extra steps to listen to messages. The VTech CS6719-15 DECT 6.0 Cordless Phone is a high-quality phone at a very low price point. For about $20, you get a wide range of excellent features, including caller ID, call waiting, and quick redial. It also offers excellent battery life, charges quickly, and provides clear and static-free calling with its DECT 6.0 technology and advanced integrated speaker. Clear calls. The audio quality on the VTech CS6719-15 is excellent. It’s very easy to hear both sides of a conversation, and there’s no static on the line, even when you’re not very close to the base station. Great battery life. The handset on this cordless phone has a great battery. 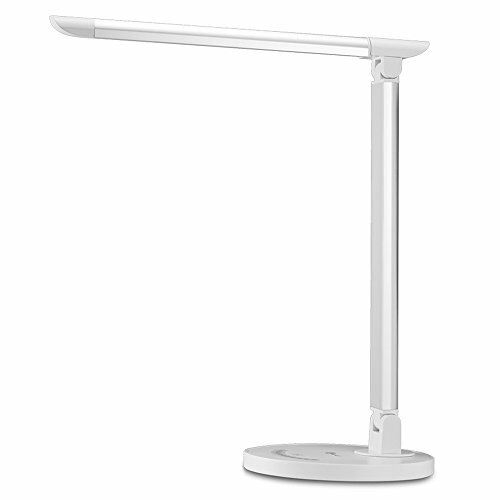 It charges quickly and holds a charge for a very long time. You won’t have to worry about calls dropping because the battery suddenly quits. Easy setup. The VTech CS6719-15 doesn’t have a lot of features, but the ones it does include are very easy to set up. You can easily save frequently-used numbers into the speed dial, and block unwanted calls with the push of a button. Excellent range. If you’re planning to use the handset far from its base, the VTech is an excellent choice. It works reliably up to about 100 feet from the base, which is ideal if you want to use the phone outside or on another floor of your house. No voicemail. 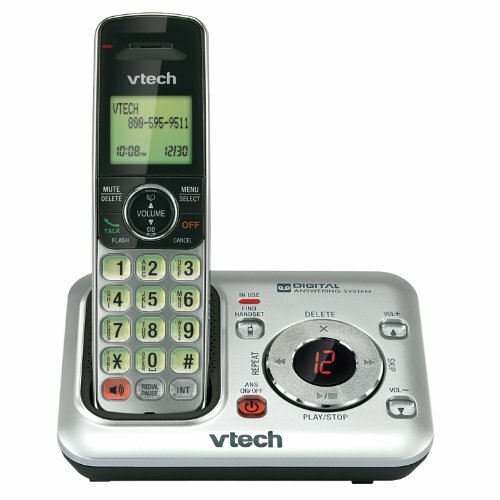 Like many similarly-priced cordless phones, the VTech CS6719-15 doesn’t have an integrated voicemail system. You’ll either need a dedicated answering machine, or the ability to access voicemail through your phone provider. Limited speed dial. While it’s easy to add numbers to the speed dial, this phone does only hold nine numbers. If you have a lot of frequently-dialed numbers, you may need a phone that holds more than this. Whether you’re using a cordless phone in your home or in a business setting, an extra handset is always useful to have around. These phones usually have a single base that plugs into your phone jack, along with several handsets that you can use in other spots. This is particularly handy if you want to have phones in several rooms of your home, or if you want phones at multiple employees’ desks, but still want the system to work together reliably. 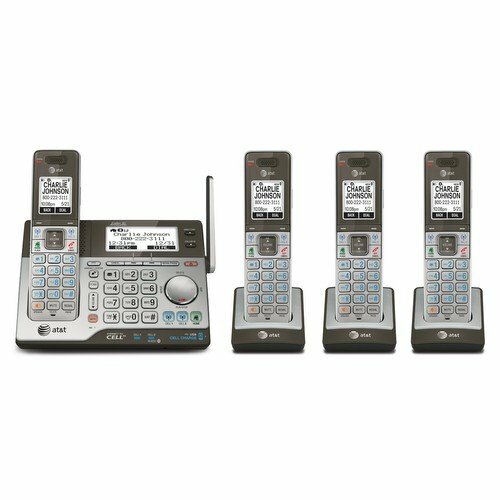 The AT&T CLP99483 Cordless Phone System is one of the more expensive cordless phone systems on the market, but it offers more than enough features and functionality to justify the price point. With four included handsets, connect-to-cell technology, and an integrated USB outlet, this system is extremely versatile. The push-to-talk function is also very useful, as it allows you to easily communicate between multiple handsets. High-quality audio. The sound quality on each of the included handsets is excellent. This system boasts “HD Audio,” which means the digital signal is processed and enhanced for clearer calls. Push-to-talk. The push-to-talk function is extremely useful, especially in a system with so many handsets. With one button, you can communicate with a specific handset, or hold the button for a few seconds to reach every handset. Integrated answering system. The digital answering system on the AT&T CLP99483 offers 14 minutes of recording time and can hold up to 99 messages. You can also call the system to check your messages when you’re out of the house, which is a useful added feature. Cell connection. The connect-to-cell function on this phone system is another great selling point, especially since you can plug your cell phone into the USB port to charge and answer cell phone calls on any handset. No call blocking. With so many extra features and functions, it’s surprising that the AT&T CLP99483 doesn’t let you block calls. This can lead to unwanted calls getting through, which can be frustrating. Difficult setup. Because it has so many bells and whistles, the AT&T CLP99483 is very tricky to set up. Programming the speed dial and adding numbers to the internal directories is not very intuitive, and many users may be frustrated trying to set up the system. Relatively expensive. While it’s not that surprising that a multi-handset cordless phone system costs over $100, this price point may be too much of an investment for some users. If you need more than four handsets, it gets even more expensive. If you have a larger home or workspace, you may run into connectivity issues when you take a handset too far away from its base. If you plan to use your cordless phone in a more spacious area (or if you tend to walk around the house while talking on the phone), you’ll want a cordless phone that can perform reliably at a longer range. Otherwise, you’ll find that calls are unclear, produce a lot of static, or drop out altogether. The Panasonic KX-TGD220N is a great cordless phone, especially if you’re looking for excellent reception far from the base station. While it has many of the features you would expect from similar phones in the same price range; it also boasts a powerful antenna that will work several hundred feet away from the base station, which makes it ideal for taking out of the house or using throughout a bigger space. Long signal range. The biggest selling point on the Panasonic KX-TGD220N is its range. You can take it really far from the base and into a yard or separate part of the house, with no real loss of signal quality. Excellent call blocking. This cordless phone lets you block up to 60 numbers, which is perfect if you’re plagued by telemarketers or robo-calls. It also lets you auto-block calls from “masked” numbers so those won’t slip through the cracks. Easy to set up and use. Setup is quick and easy with the Panasonic KX-TGD220N: the handset is pre-paired with the base, so you can just plug it in and start talking. The extra features, like call waiting, are also pretty simple and intuitive. Voicemail sound quality. One of the biggest issues with the Panasonic KX-TGD220N is that the audio quality on the integrated voicemail is very garbled. It can be difficult to understand messages, which limits this feature’s usefulness. Low speaker volume. If you have a hard time hearing, then this phone will probably cause a lot of frustration. The default speaker volume is very low, and it’s still pretty quiet when it’s turned up all the way. Many of the best cordless phones on the market feature an integrated voicemail system, which helps enhance their usefulness and ensures that you’re not missing important calls or messages. In many cases, the answering machine functionality is incorporated into the phone’s base station, which is great if you want answering machine functionality but don’t want to invest in a second device or use your phone service provider’s voicemail system (which could cost you extra money). 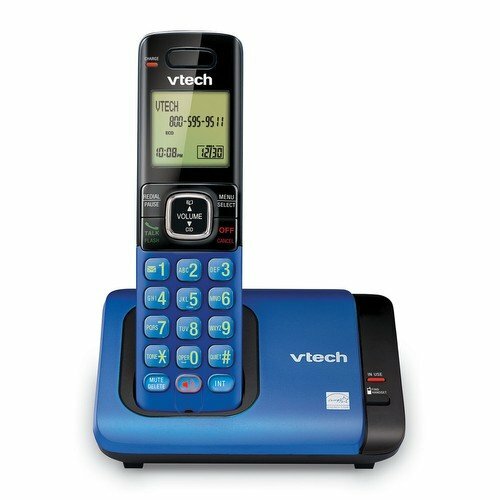 The VTech CS6429 is an all-around solid cordless phone with an answering machine that records and plays back messages loud and clear. It’s easily expandable, and you can actually check your messages from any paired handset rather than only listening through the base station. While the phone has some issues with battery life, it has several handy features and delivers reliably clear audio on phone calls. Versatile and dependable answering machine. The integrated answering machine on the VTech CS6429 is extremely reliable, and messages come through clearly. It’s also very easy to access, either from any handset or from the base station. Clear calls. The VTech CS6429 delivers really clear calls using DECT 6.0 technology. There’s almost no static or interference on the line, even when the handset is pretty far from the base station. Solid construction. This cordless phone is very well-built and won’t break, even if you use it a lot. While it’s not the highest-end phone, it definitely does not feel cheaply made. Short battery life. One major issue with the VTech CS6429 is that it doesn’t last long when the handset isn’t plugged into the base station. It eats through batteries very quickly, which can be an issue if you tend to make and receive long phone calls. Slow speed dial. While it does have a programmable speed dial function, actually using this feature is not always as simple as it could be. It takes some time to navigate between menus and find the number you want to dial. If you don’t have a landline but still want a dedicated cordless phone for your home or business, a Bluetooth compatible cordless phone is your best bet. These phones don’t tend to require a wired connection, and instead use your cell phone’s signal over Bluetooth to make and receive calls. Since many people already have a Bluetooth-ready cell phone, these phones give you the convenience of a cordless phone without needing to pay for extra phone service in addition to a wireless bill. The Panasonic KX-TG7741S is an excellent phone if you want landline functionality but don’t want to pay for a dedicated phone line. It’s very simple to pair almost any Bluetooth-compatible phone with the base station, and the phone and handset can then use your cell signal to make and receive calls, even if you take the handset away from its base. Easy bluetooth pairing. The Panasonic KX-TG7741S pairs with just about any Bluetooth-compatible cell phone, letting you use your cell service to make and receive calls. Pairing is extremely easy, so you can quickly get this phone up and running. Automatic contact transfer. 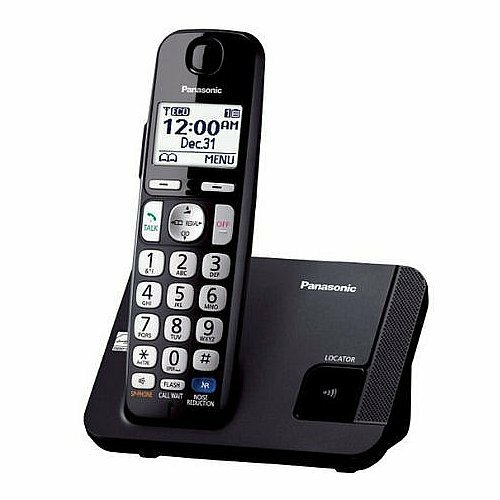 In addition to easy pairing with your cell phone, the Panasonic KX-TG7741S also automatically transfers contacts from your cell phone to the cordless system, so you don’t need to manually dial your favorite numbers. Clear calls. Calls are very clear on this system, even using cellular service. While they’re not quite as clear as they might be over a landline, you can easily hear and be heard. Multiple phone pairing. One great feature of the Panasonic KX-TG7741S is the ability to pair multiple Bluetooth-compatible phones with a single base station. This lets you pair two phones to one base station and route all calls to the cordless phone. Short battery life. The battery life on the Panasonic KX-TG7741S is not ideal. The handset runs through a charge very quickly, and the batteries are not rechargeable, so you may find yourself frequently buying and replacing batteries. Short signal range. While it does offer clear calls, the signal range on the Panasonic KX-TG7741S could definitely be better. It works well when you’re in the same room as the base station, but if you’re hoping to take calls outside of the house you’ll probably need a range extender.